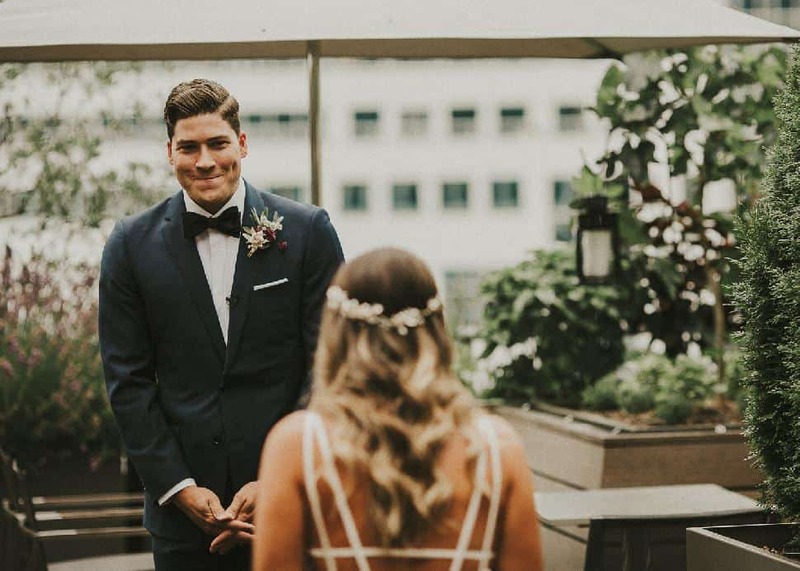 Reid and Danielle grew up only 15 minutes apart from one another in Richmond, B.C., but didn't actually meet until years later. 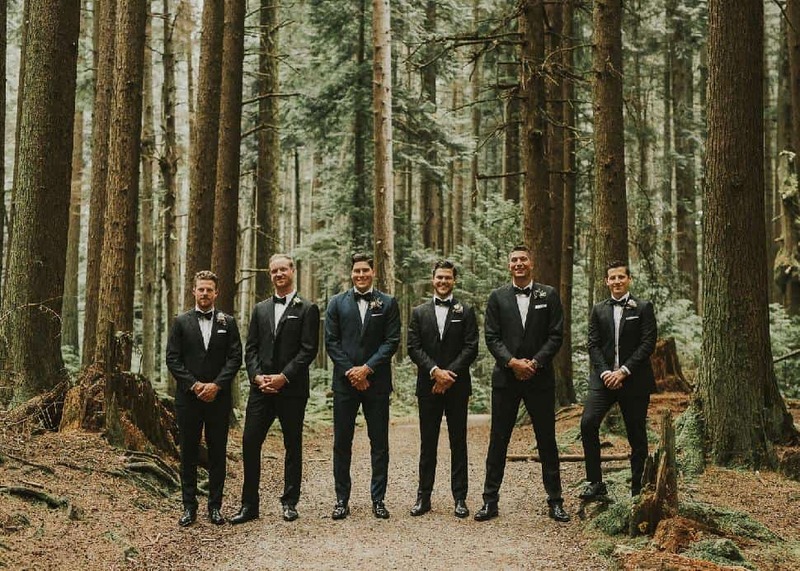 They had similar groups of friends and would even attend the same high school parties, but didn't cross paths until being introduced at a mutual friend's cabin in 2010. 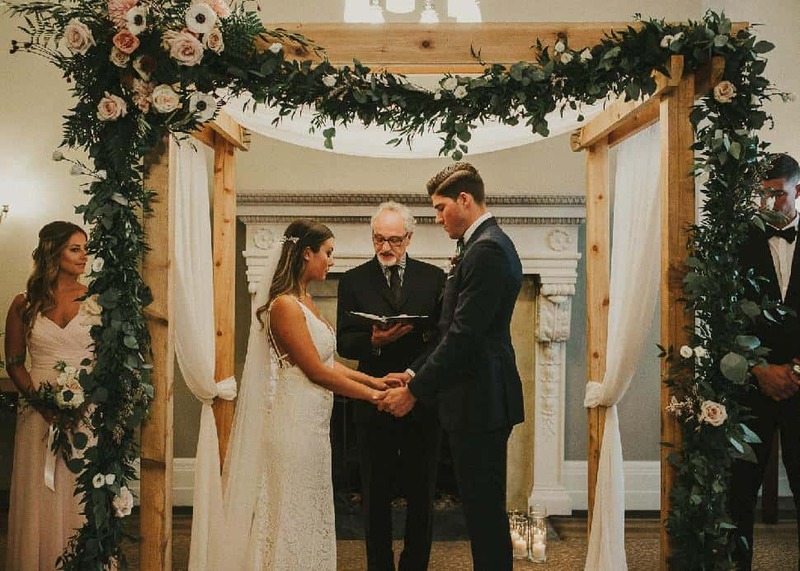 Reid was a hockey player at the time, and their love led them to live together in various locales across North America, including the states of Mississippi and Texas. 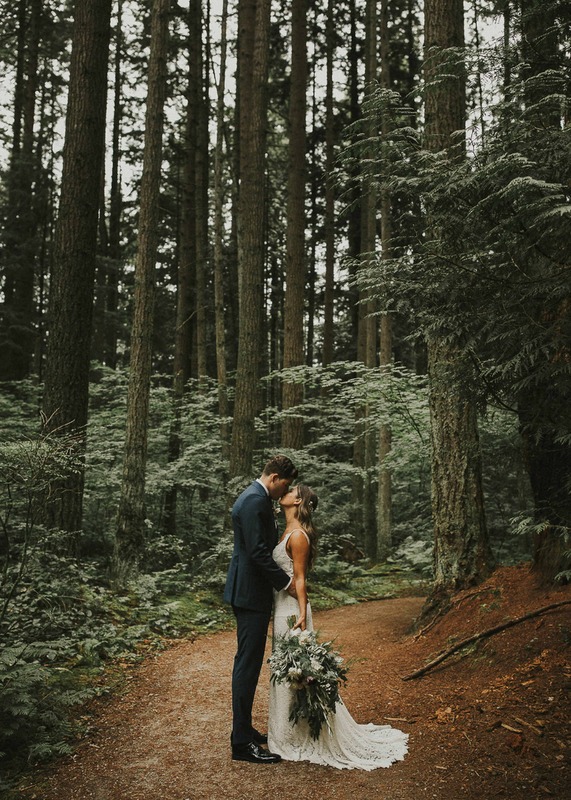 After returning home to Vancouver to begin the next chapter of their lives, Reid proposed in a very West Coast fashion... on a rainy fall day on top of Mount Tolmie. 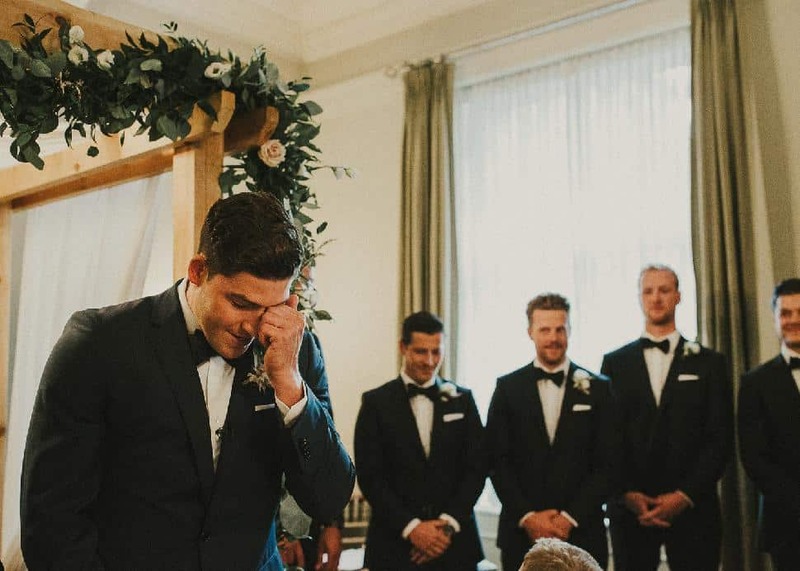 It was a very special place to Reid as his grandparents used to live in one of the houses at the base of the mountain, so it providing a way of connecting two families, as Danielle was not able to meet Reid’s grandparents before they passed. 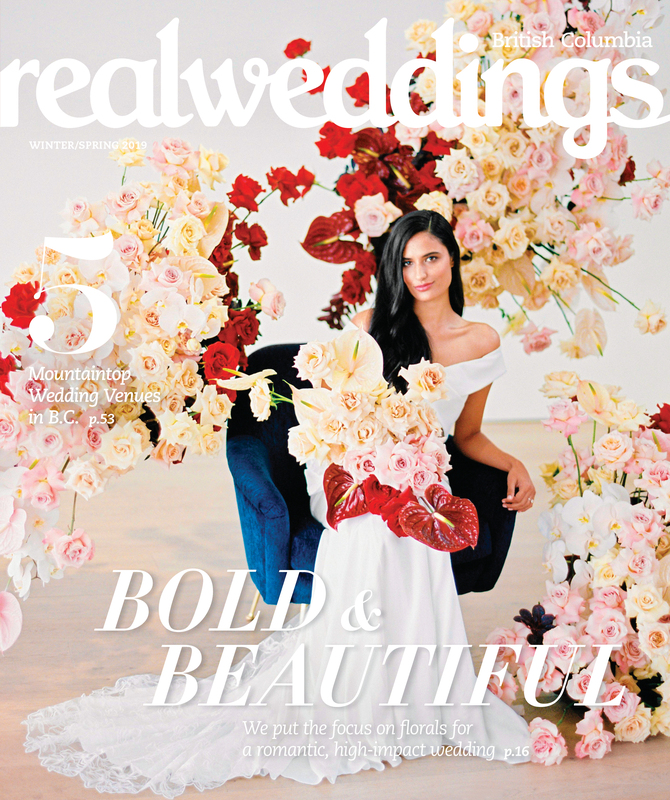 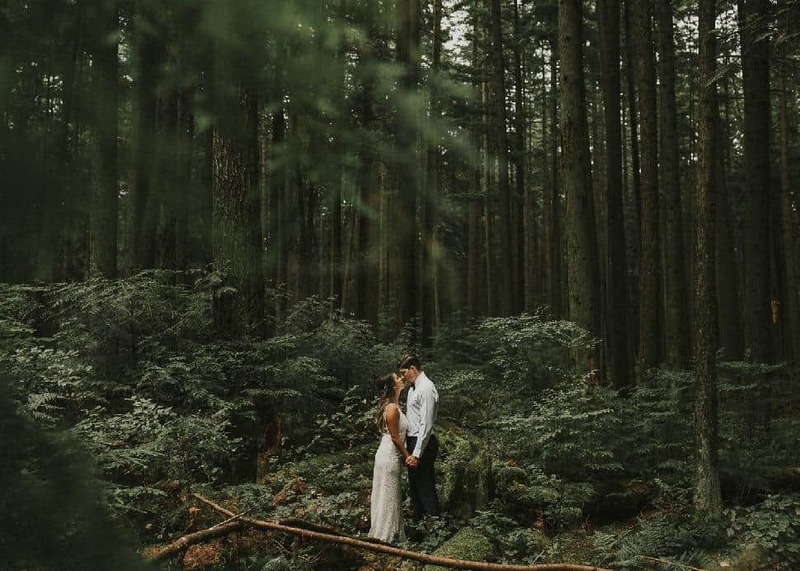 With a summer wedding in mind and only eight months to plan, they hit the ground running. 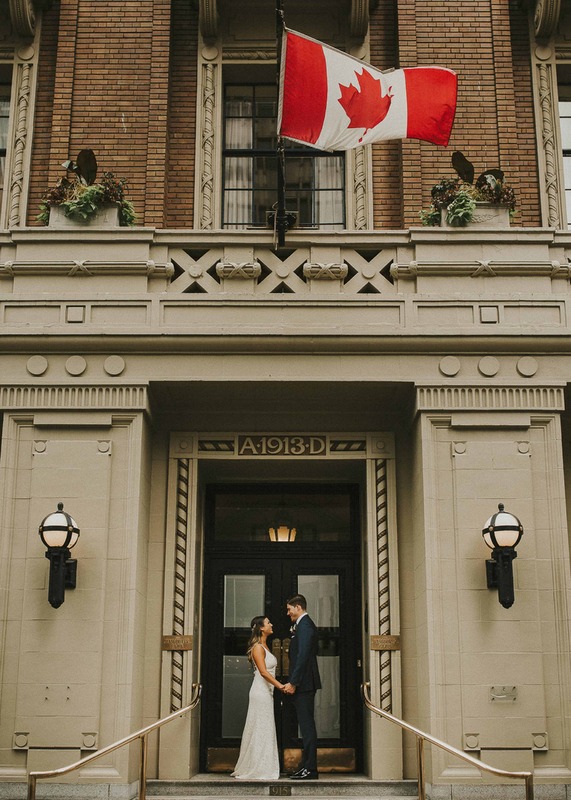 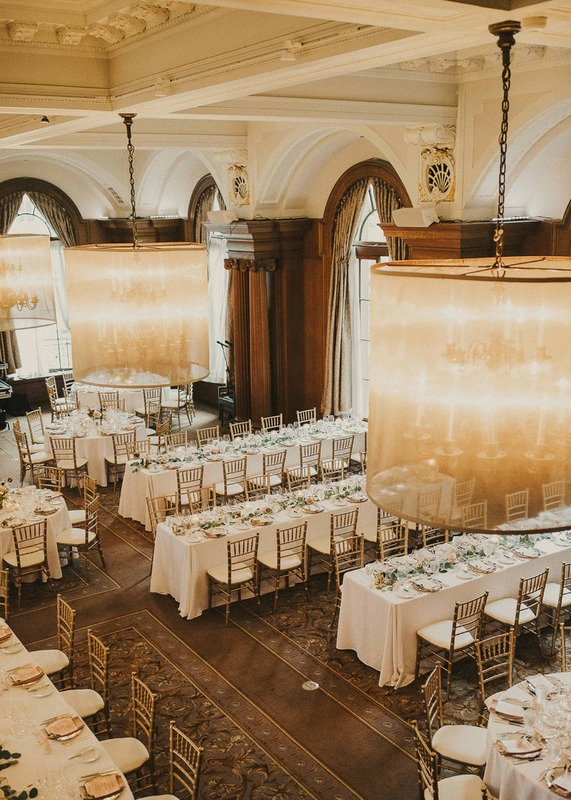 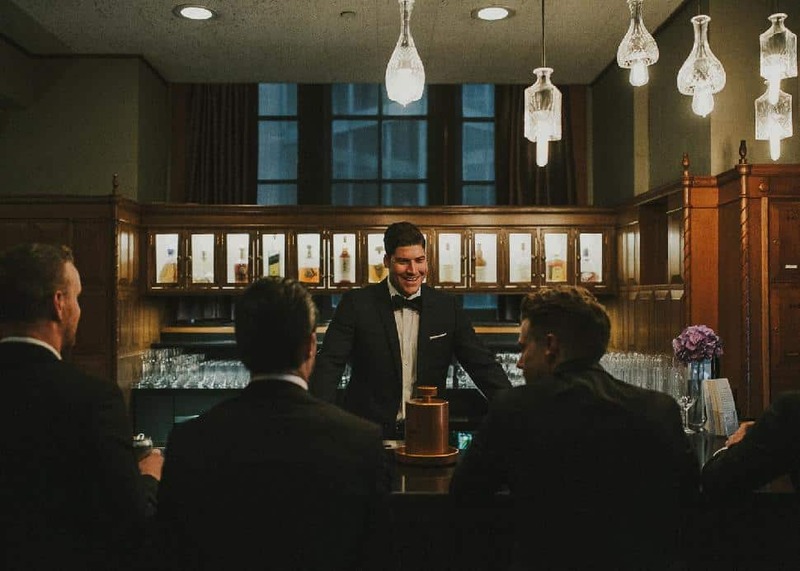 Reid and Danielle went to the Vancouver Club and knew immediately that this was their perfect location. 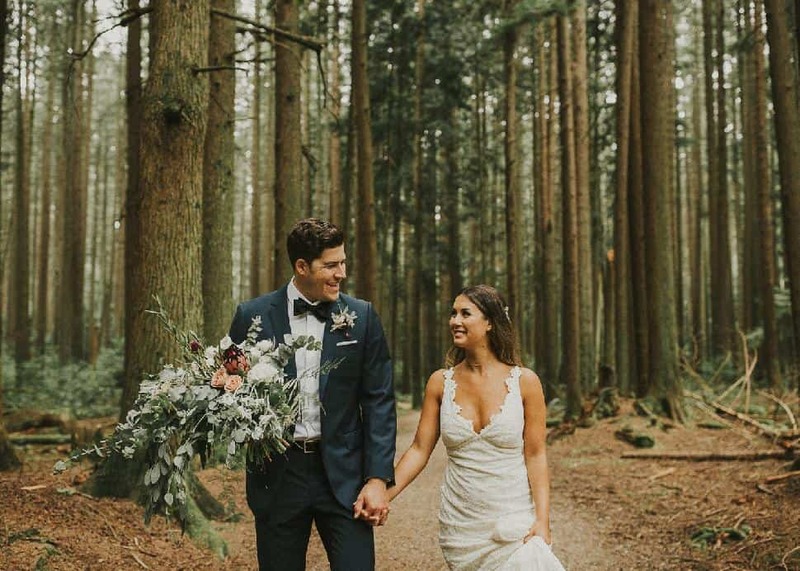 It was quintessential Vancouver and represented their connection to home. 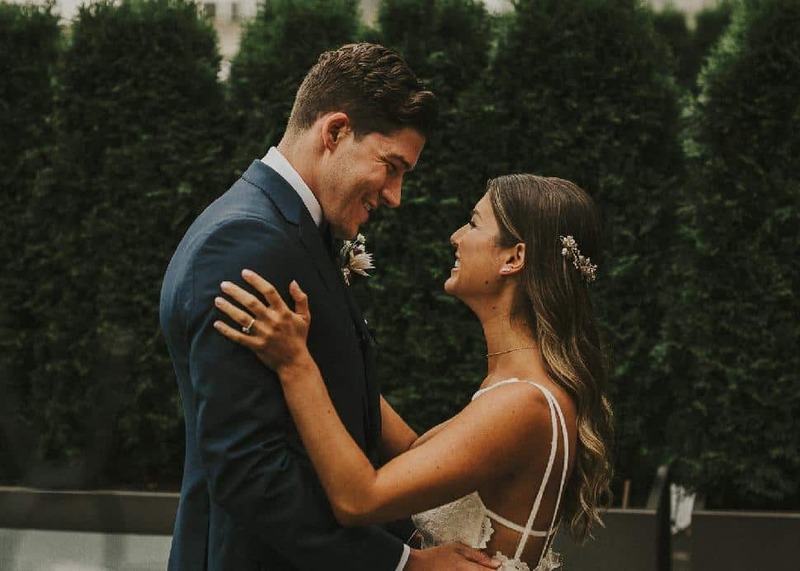 Fate struck once again as only one date was available: July 22, 2017... and it was perfect. 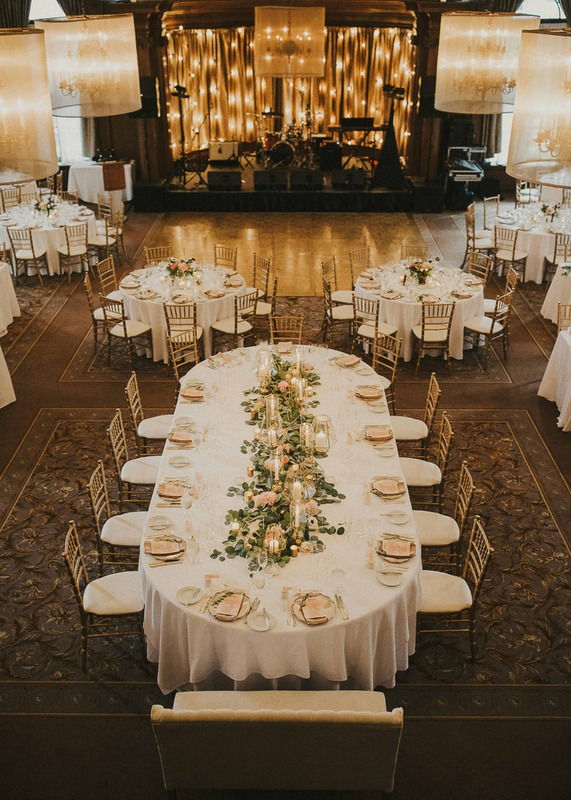 The couple met with Shirley from Filosophi Events and immediately clicked. 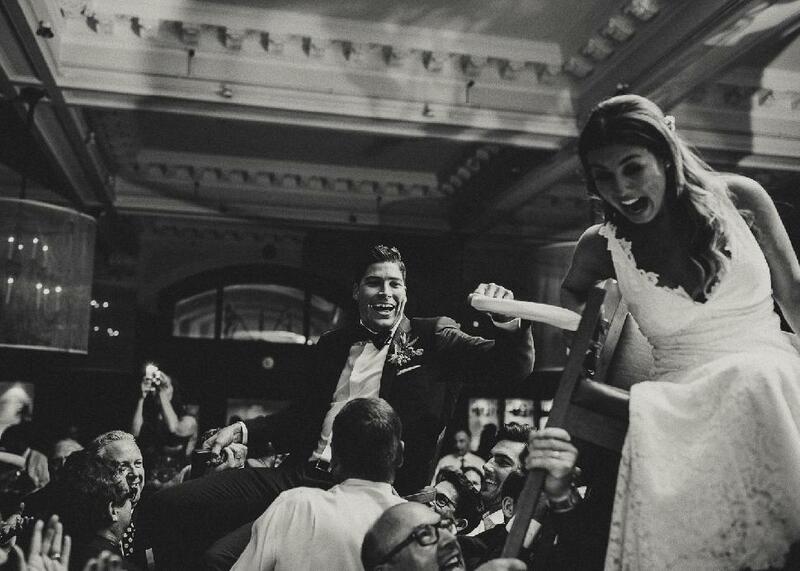 When asked what the number one priority was for the weeding, the couple said “Fun! 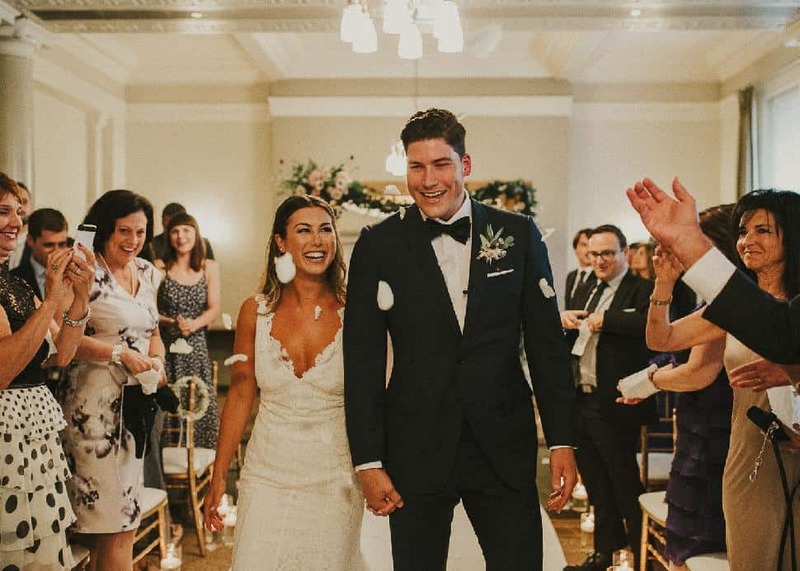 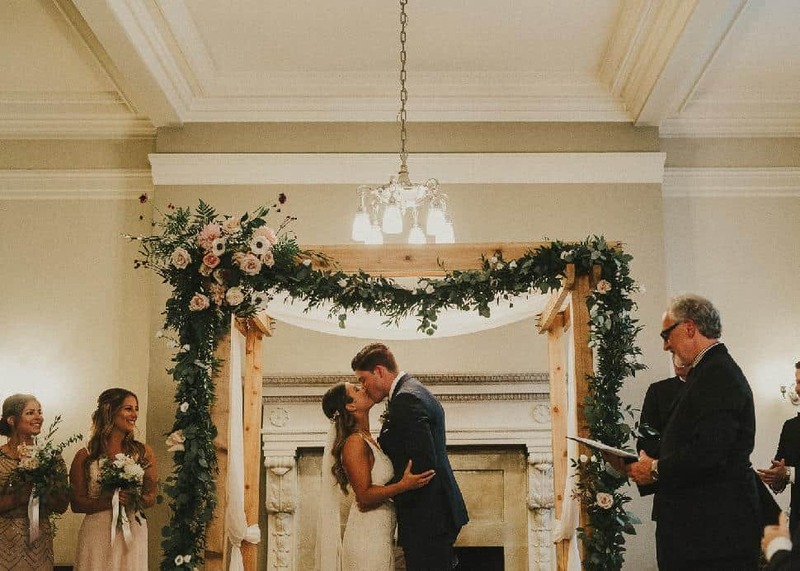 We want it to feel like a huge celebration.” With that in mind, the couple hired Side One Band and chose a non-traditional first dance song, "Fire and the Flood" by Vance Joy. 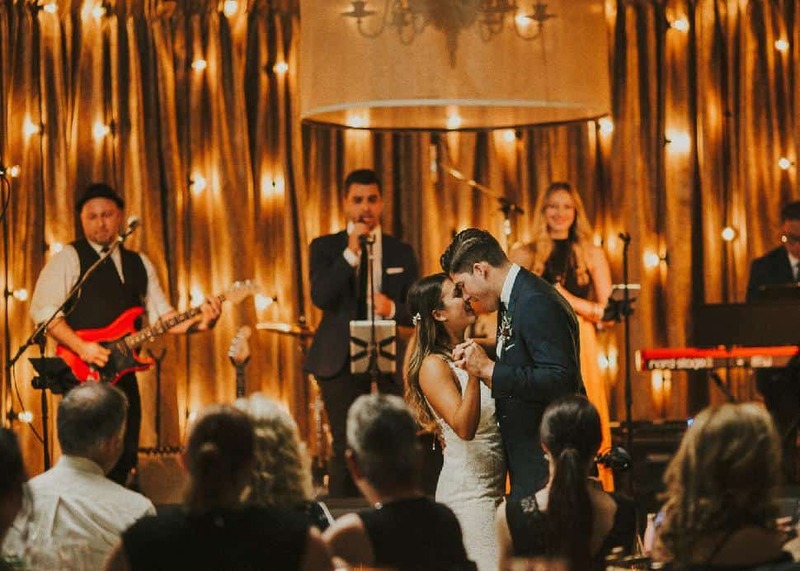 Side One Band blew every guest away! 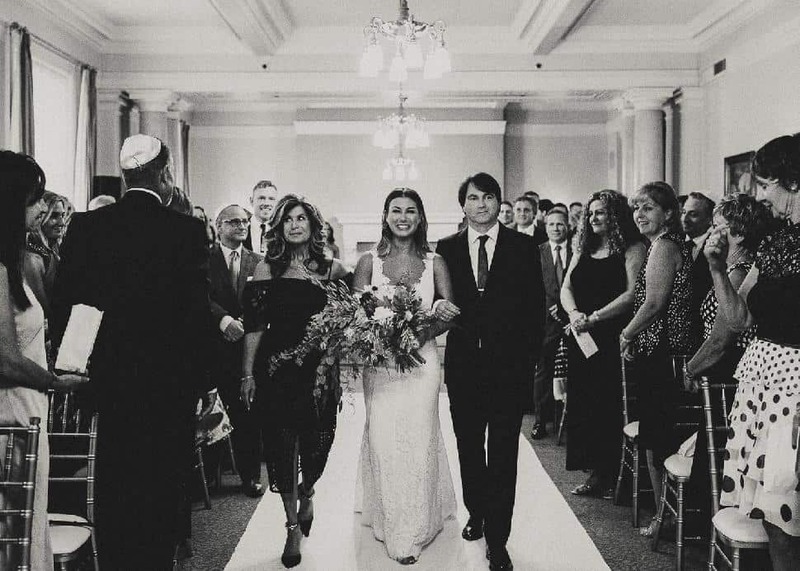 The wedding was a true combination of choices by both bride and groom. 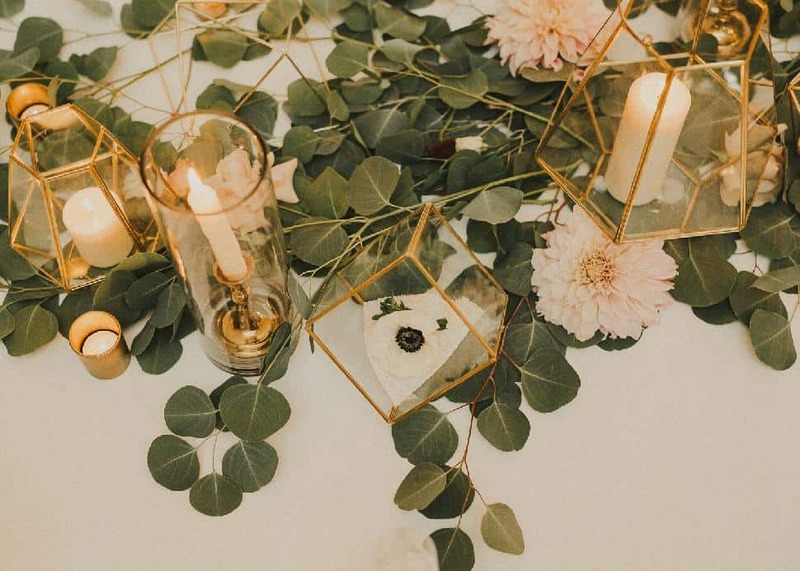 Reid being a lover of nature and the outdoors, greenery was heavily incorporated into the bouquets and flower arrangements from Our Little Flower Company. 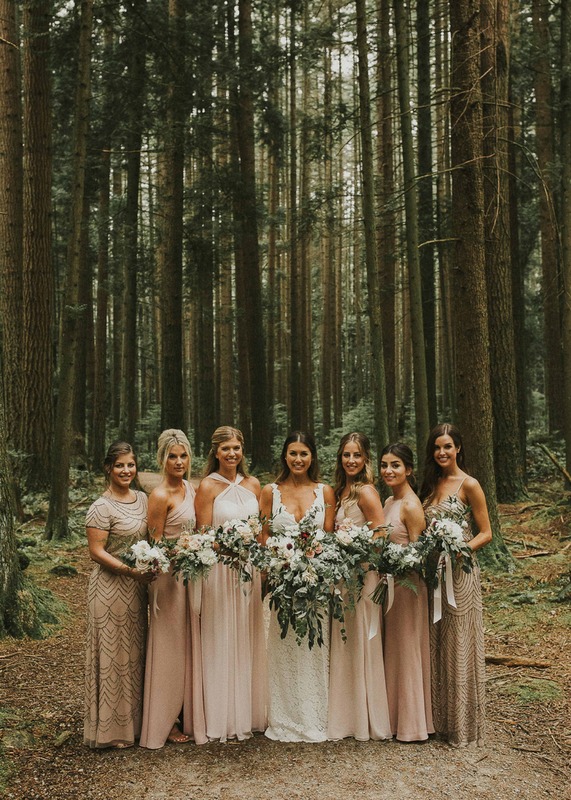 The bride being quite girly, incorporating a romantic palette of blush, cream and gold was key. 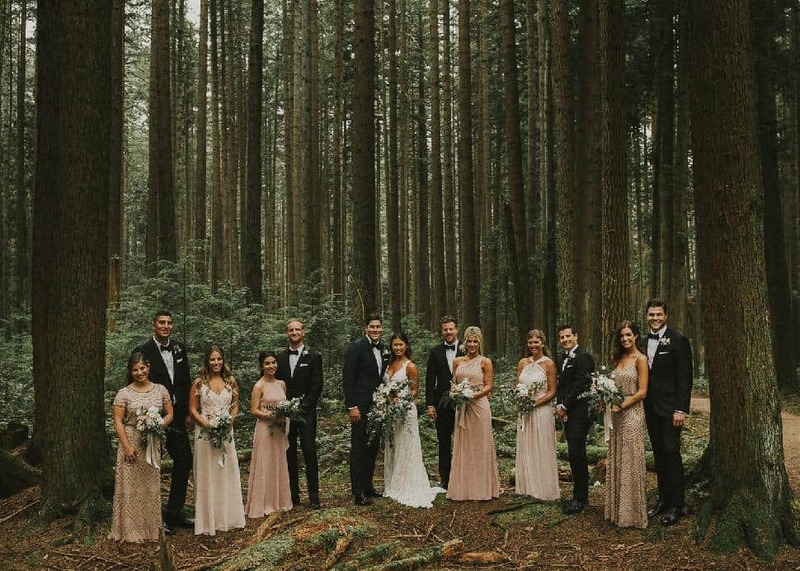 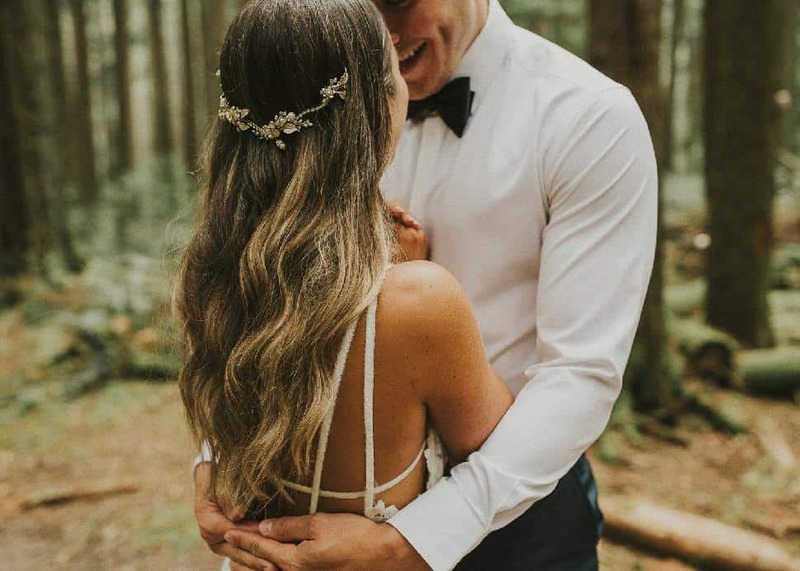 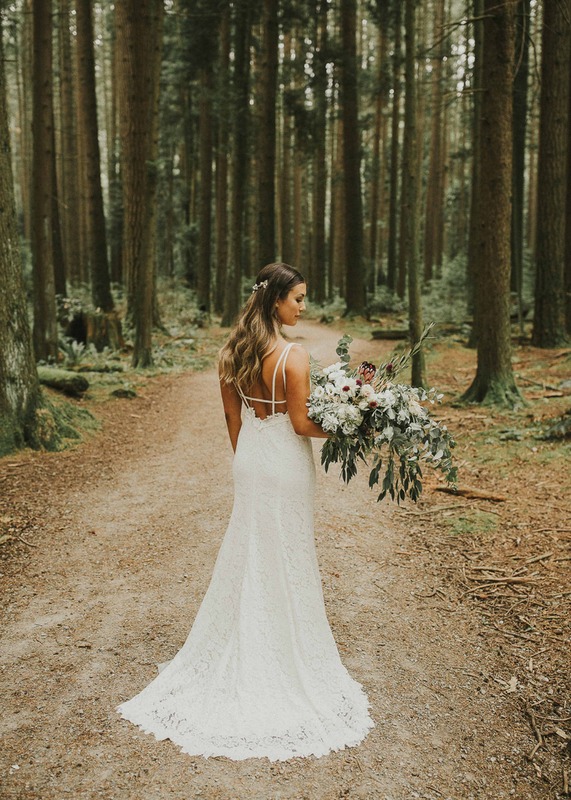 This fusion was perfectly showcased by the bridal party pictures at Pacific Spirit Park, featuring a contrast between long, flowing, delicate gowns and lush, vibrant forest. 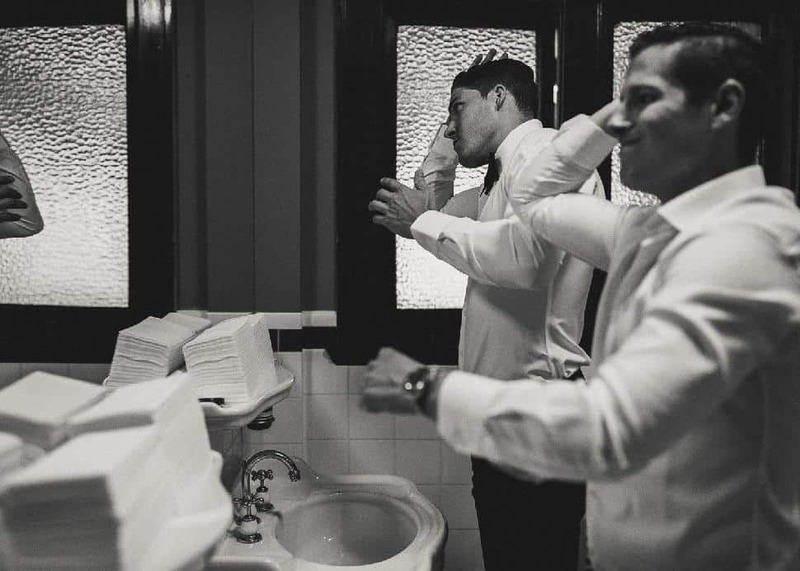 The Apartment Photography impeccably captured the couple’s vibe and their vision. 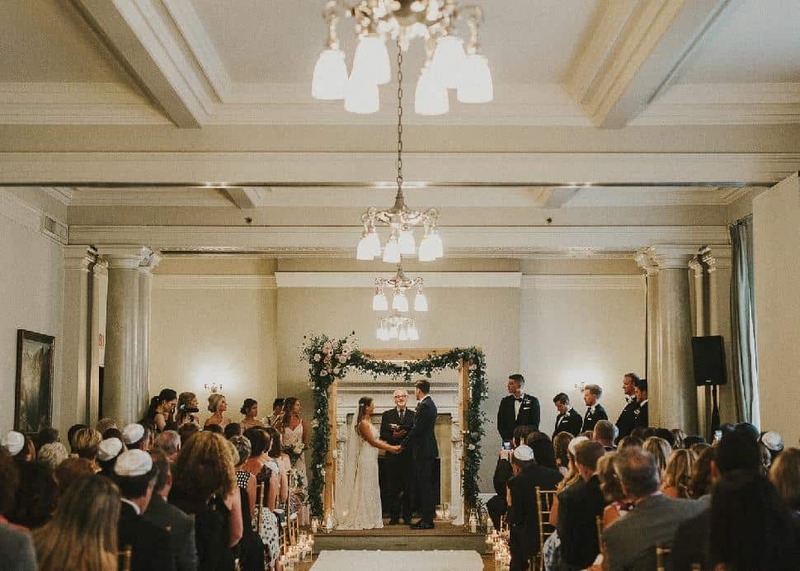 The wedding ceremony incorporated Jewish traditions such as the chuppah and the signing of the ketubah. 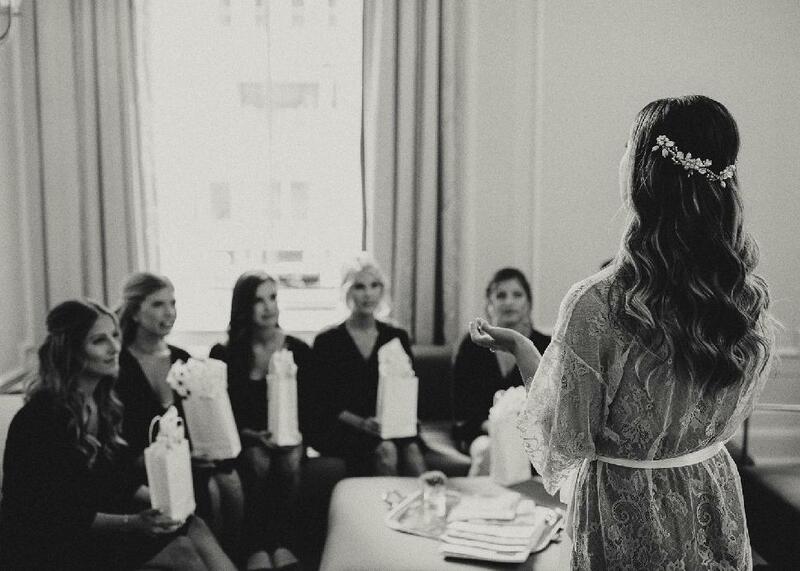 It felt warm and intimate, with flowers draped over the ketubah and candles lining the aisle. 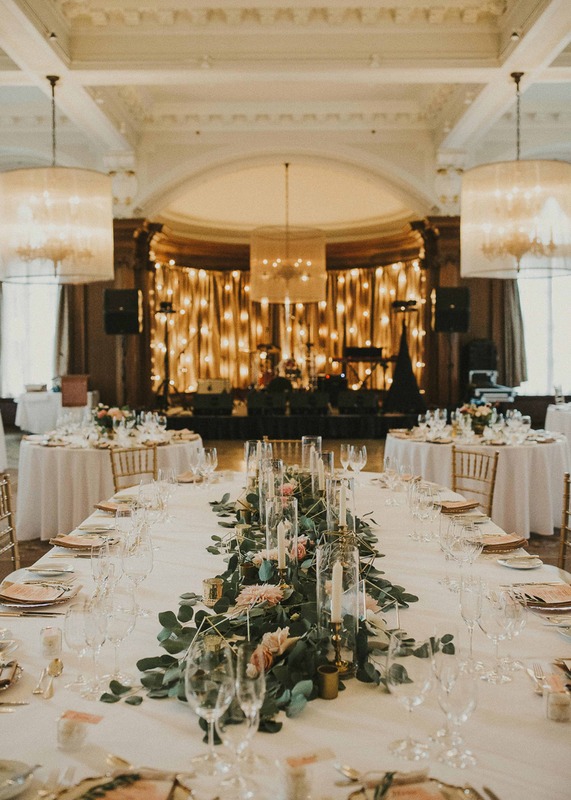 Additionally, the couple wanted to extend their theme into the ballroom where Cahoots Creative helped bring the vision to life. 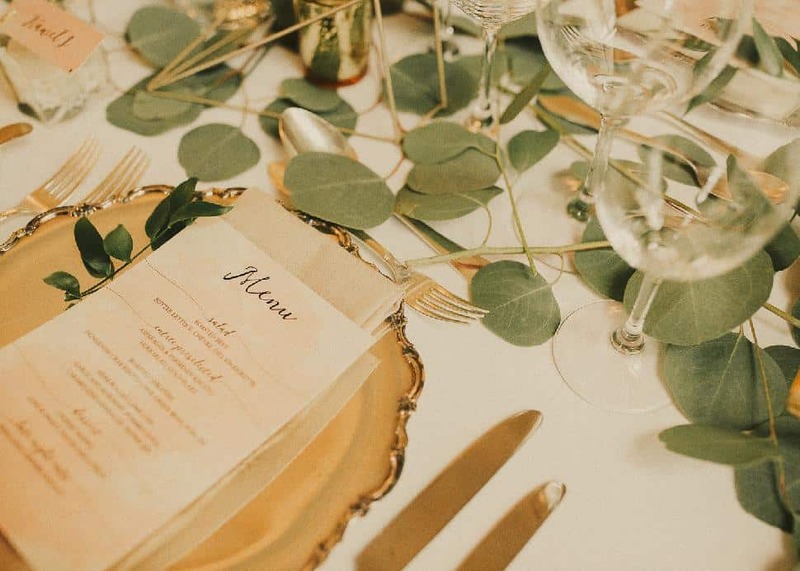 Some of these personal touches included votives, candles, personalized macaroons from Bon Macaron Patisserie, menu cards from Paper Poet and a love seat the couple shared at the head table. 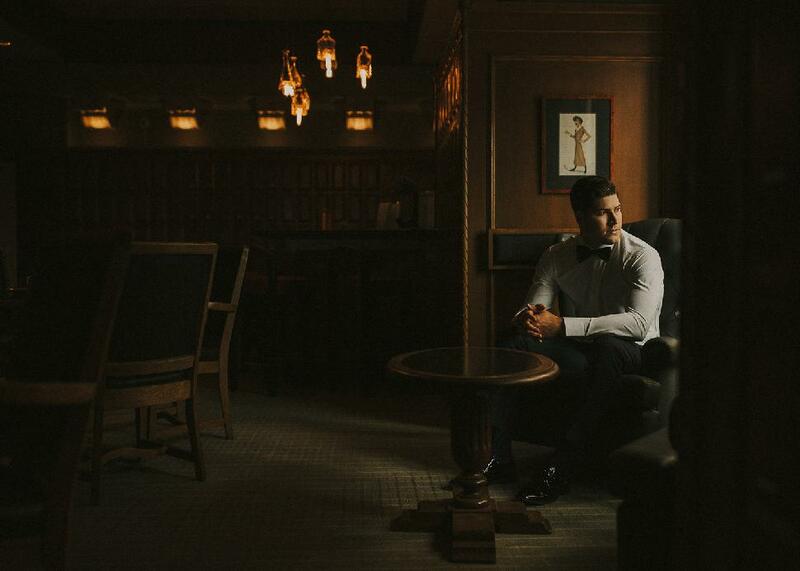 Down the hall, The Collective You was stationed taking everyone’s portraits. 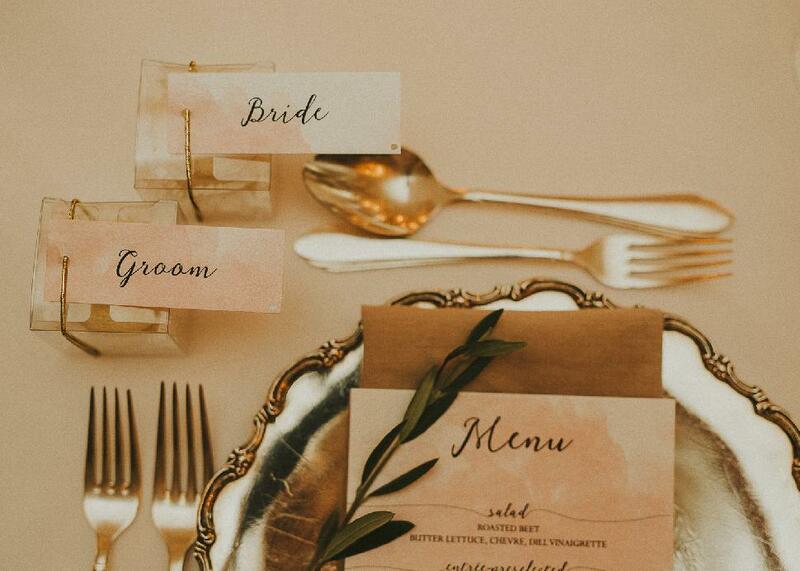 Each guest would receive two pictures: a large picture on which each guest was asked to write a note to the couple and a small picture that each guest could take home with them. 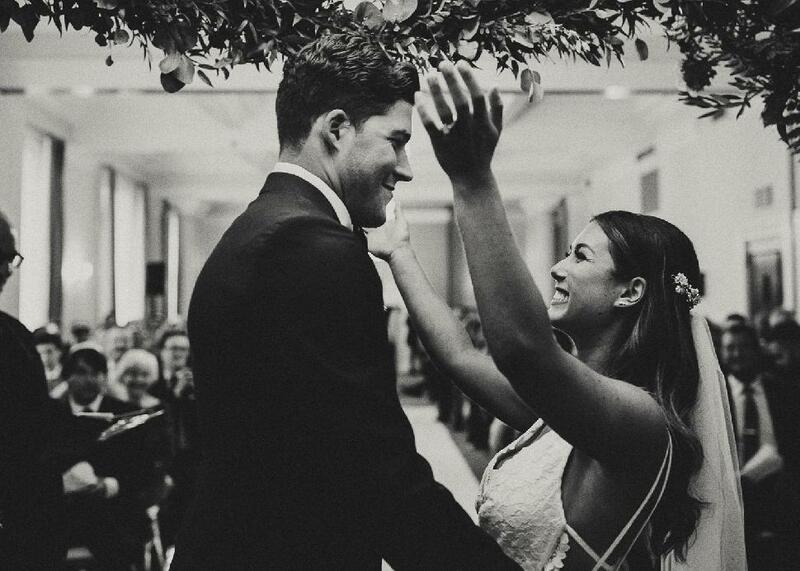 After a delicious three-course meal and beautiful speeches, everyone danced the night away. 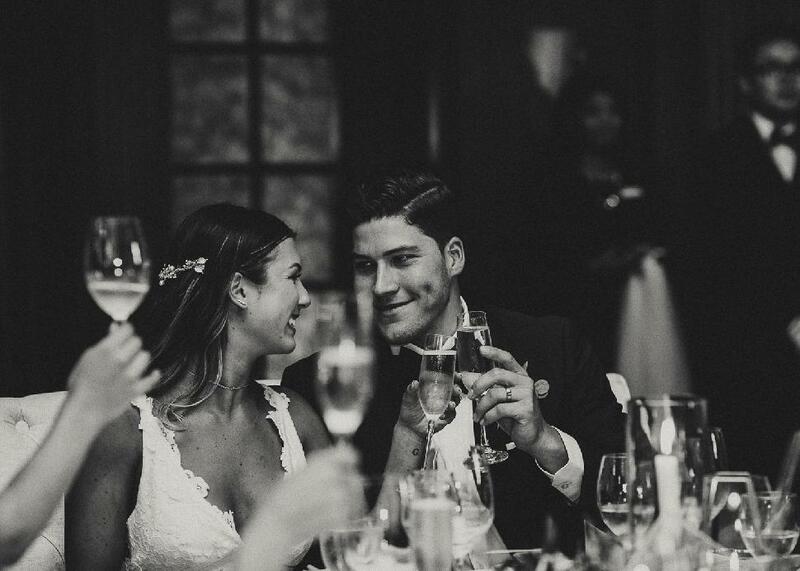 It was truly a day that expressed love, joy, family and the beginning of another exciting chapter! 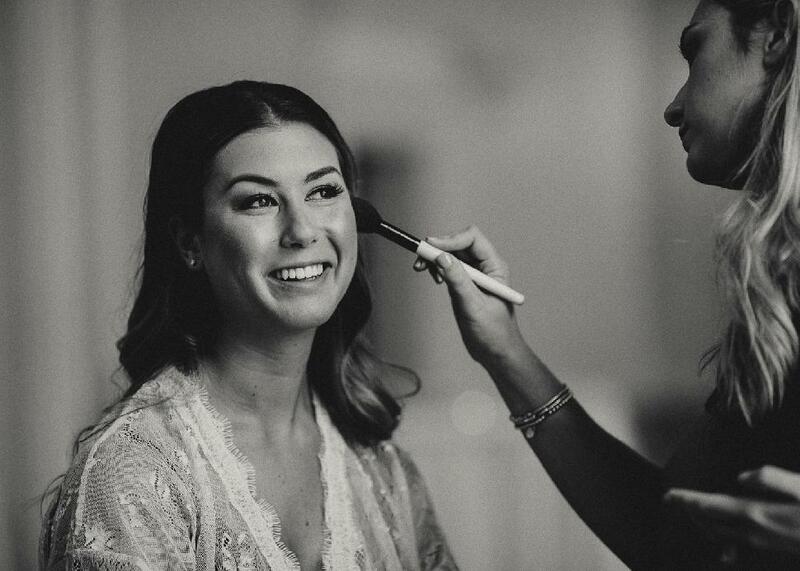 Makeup: Denise Elliott Beauty Co.